Kids at the Dairy is an arts education program designed to introduce Title I Schools in Boulder County to live performances across multiple art disciplines, while closing the achievement gap and making access to the arts more available to at-risk children. 65% of participating students are enrolled in the free/reduced lunch program. 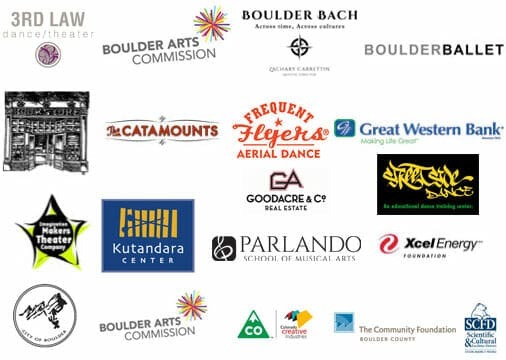 Increase arts education opportunities for students from Title I schools in the Boulder Valley School District. We have provided interdisciplinary arts activities for over 1,200 students since the program’s beginning in 2014. Upsurge literacy for Title I students. Part of the program includes providing the students with a developmentally appropriate book that is directly connected to their arts experiences at the Dairy. Provide no-cost access to arts education experiences for Title I students. The Kids at the Dairy program is entirely underwritten (including transportation) so that there is no cost to the schools and students participating. Since Kids at the Dairy’s beginning in February 2014, we have completed 19 different programs, impacting over 1,200 kindergartners in the Boulder Valley School District. “I want to send my most sincere thanks and gratitude to The Dairy Center and the Boulder Ballet for hosting Sanchez Elementary recently for ‘Kids at The Dairy’. I am the mother of one of the kindergarten children that had the privilege of having this experience. This was a once in a lifetime, unforgettable experience for the little ones. Sanchez is filled with wonderful, bright, adorable children. Unfortunately most of these children live below the poverty level. While that fact in no way diminishes their incredible worth, it also reflects on the issue that the average family at Sanchez cannot afford to attend events that expose their children to the incredible world of ‘the arts’. The Dairy Center has recognized this need, and provides , free of charge, a day to these young students. That is incredible. The Dairy Center selflessly emerged these children in an afternoon filled with an all encompassing tour through many forms of art. Thank you, again, for hosting ‘Kids at The Dairy’ I hope that the donors that support this program continue their generosity. The future of the arts depend on igniting the fire in our youth, and that is exactly what this program does”.